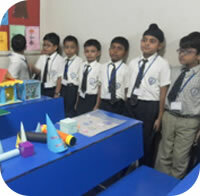 GIHS has all modern amenities, carefully selected, for the all-round development of children. Its extensive campus in Al Garhoud features a modern building that also incorporates energy saving measures in line with the Green Vision of Dubai. The entire campus is immaculately maintained with gardens and lawns. The school has centralized air conditioning in the corridors. There is a large playground as well as volleyball and other game courts. 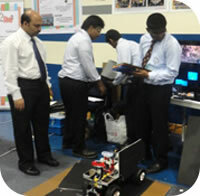 The school has state-of-the-art laboratories dedicated to Physics, Science, Math, Home Science and Computers. The school has installed interactive whiteboards in some classrooms. GIHS is the pioneer in implementing a state-of-the-art technology known as e-software (such as Online Assignments, Progress reports, Examination and Attendance management etc) for student, parent and staff management. The school also has a well-stocked library and every student is encouraged to read and take part in library activities. Books are available for reference as well as borrowing for home reading. The school also introduced e-library for students. To ensure the overall welfare of students, the school also has a Canteen, Activity room, Book Store and Prayer room. A well-equipped clinic with two doctors and two full-time nurses attend to the healthcare needs of children including monitoring of vaccination. 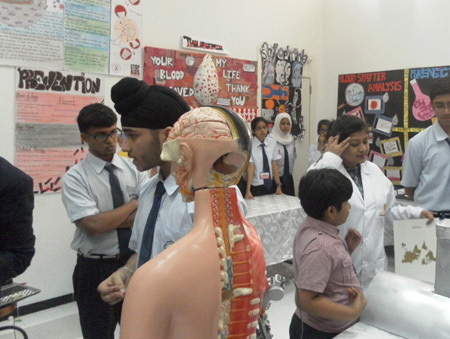 The clinic also takes proactive measures to inform and educate the students of common illnesses. Our modern computerized laboratory gives access to the state-of-the-art technology. Computer Science has been introduced as a regular part of the syllabus from class IV onwards. 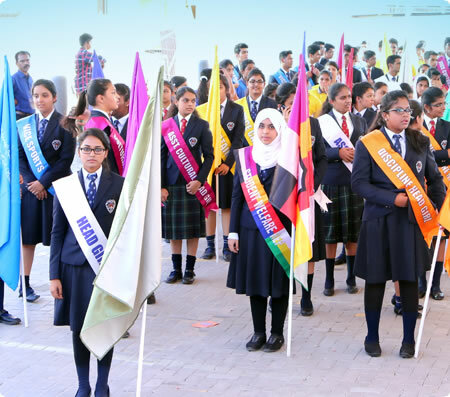 The school has well-equipped laboratories to promote independent learning and experimentation through doing and developing their scientific skills in various subjects – Physics, Chemistry, Biology, Home Science, Computer and Physical Education. More than 30,000 books of various subjects are catered to the interest of the students. The book section of the library consists of highly specialized books covering all the areas of progressive learning. It also holds an excellent selection of reference periodicals, children story books, novels to match their standards of reading, magazines on current affairs and the daily newspapers. An innovative computerized system called E-Learning has been put in place to develop the reading skills of each individual student. 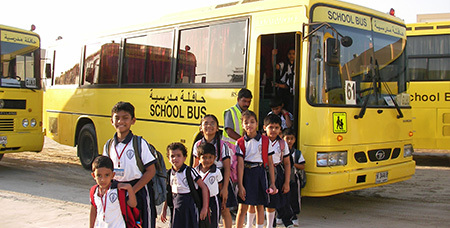 GIHS has leased a fleet of 19 air-conditioned vehicles that conform to the regulations and specifications of KHDA and RTA. All of buses are well-maintained and managed by experienced drivers and supporting staff. All vehicles are routinely monitored for their safety features and the staff members have a strong reporting structure to ensure ease of transport. 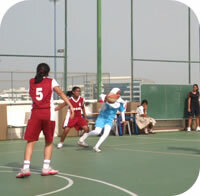 Sports form an integral part of the school routine and the students are expected to participate in it regularly. Periods are allocated for P.T and games. 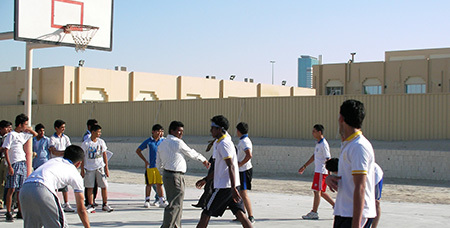 The School playground is well equipped for various games like Football, Basketball, Badminton, Volleyball & Cricket. Special coaching in all these games is available after school hours and on Saturdays. 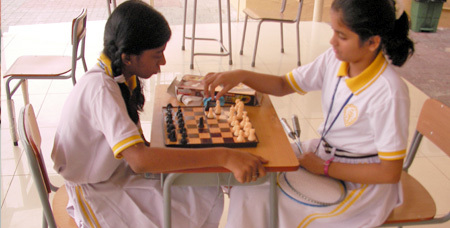 The School teams participate in Inter-School and Zonal matches. The volleyball team comprising of both boys & girls have been recognized as “the best team in the U.A.E”. We believe that it is the duty of a good school to guide its pupils to the discovery of lifelong interests and opportunities for self-expression which are vital to the development of every human being. Each individual has at least one area in which they can excel and once that discovery is made, self-belief flourishes in every aspect of their lives.